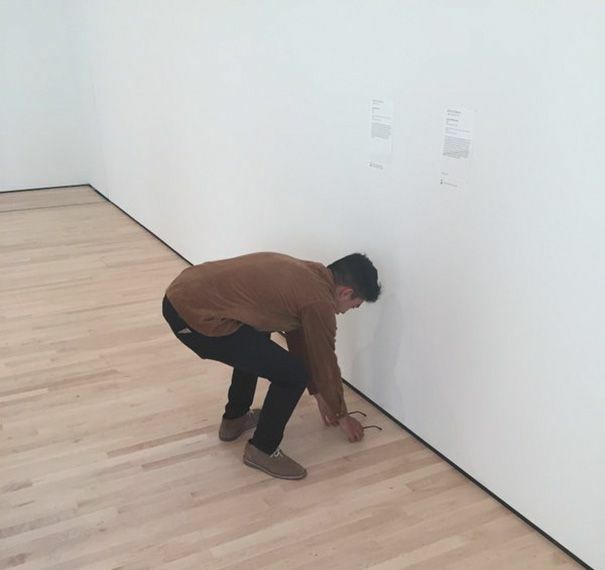 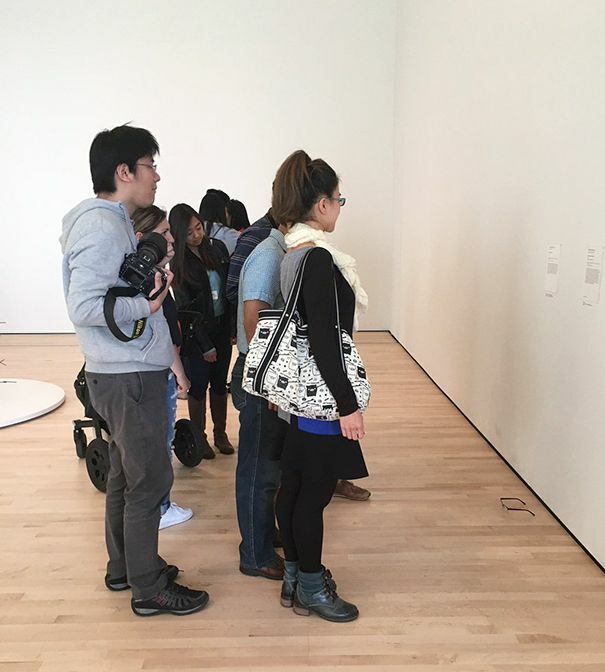 Some teens from San Francisco decided to try something funny at San Francisco's Museum of Modern Art. 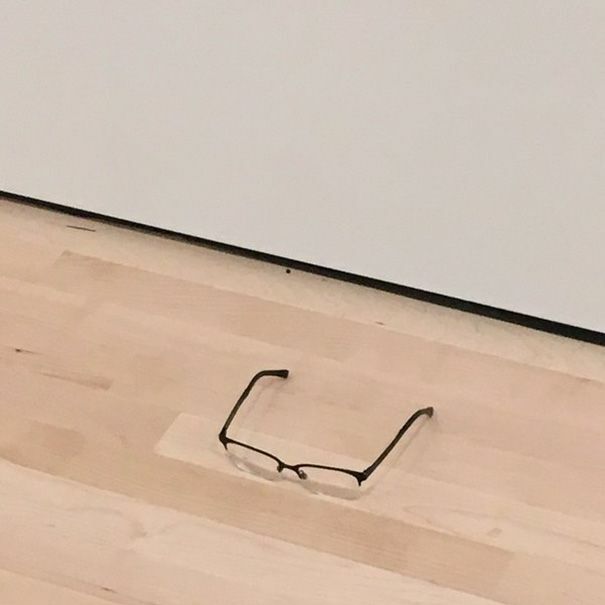 They put some glasses on the ground and everyone that walked by thought that it was art. 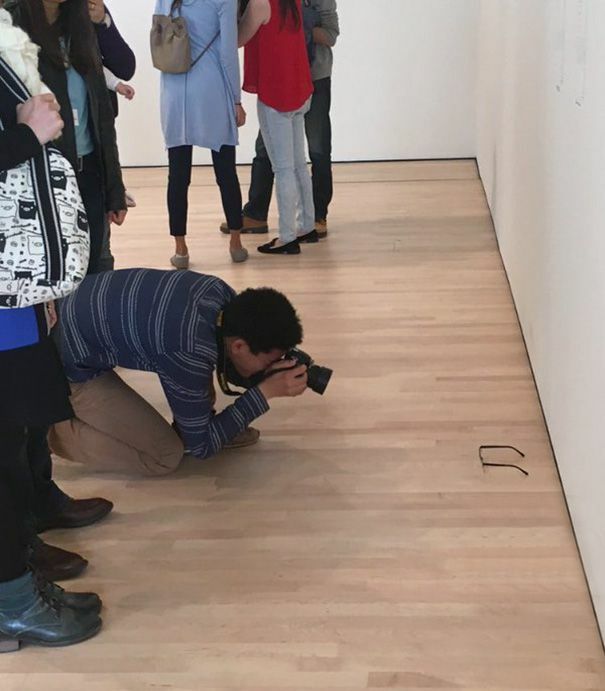 Photographers even stopped to take photo of the glasses as the kids looked on and took pictures of the people. 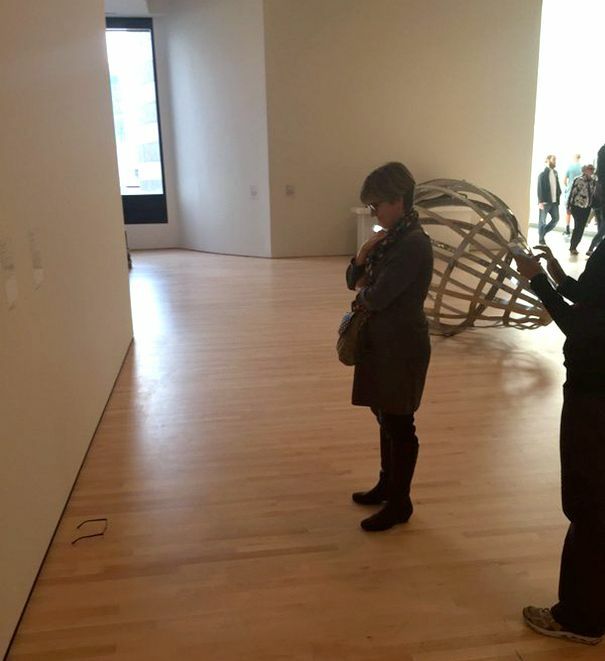 The pictures have since gone viral thanks to their clever joke. 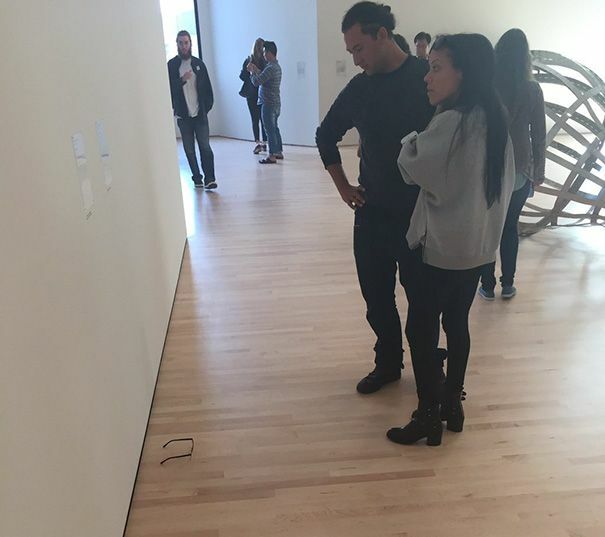 And that's why a painting showing a blue line on a white canvas was sold for hundreds of millions of dollars.